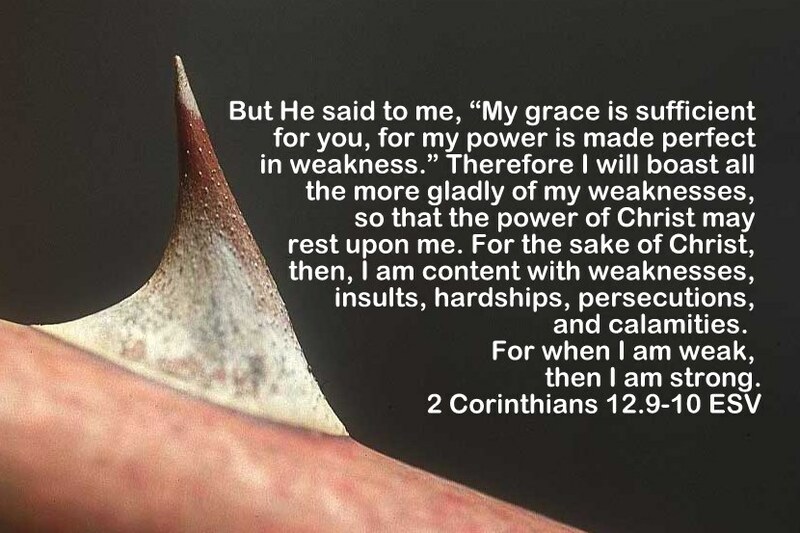 In my weakness I pray. Can I tell you I feel like a wave sometimes – up and down, up and down. Like many of you, I have lots of trials and tribulations going on. Seroiusly. I have to believe in a big God – because I have big stuff! But it’s not about me is it? It is not about the pray-er. Yeah. I don’t always feel like praying. Really. Sometimes I am so mad I don’t even want to talk. Sometimes I am so weary I just want to run and hide. But even that doesn’t matter. Because prayer is not about my strength. It’s about my weakness. I am asking God for help. I am admitting I don’t know what to do next. So guess what – with all these life things going on at the moment – I pray ALOT! And it is THEN that He covers me with His power to get through whatever I am facing. Weakness + Prayer = GOD’S POWER! What if our efforts didn’t matter, but His did? What if our prayers didn’t depend on how much, how often, what words we use, whether we speak in tongues or talk in English, French, Spanish, or whatever? What if all we had to do was groan – grunt – cry. And He would hear it, and meet us there. What if It’s about making a connection to WHO we pray to? Posted in Healing, Spirituality and tagged christianity, God, Hope, Inspiration, Jesus, Life, power of prayer, prayer, prayers, Religion and Spirituality, Spirituality, strength, weakness. Bookmark the permalink.